We pride ourselves on being one of the lucky ones here at our design studio for change. Not only do we get to help save the planet through our sustainable designs, but we also have amazing opportunities to help people in need from all corners of the globe. Take our collaboration with people’s organisation Origin for example. Founded in 2017 by Holly Ledson and Elizabeth Trudgeon, The Origin Charity make it their daily mission to help the small percentage of indigenous and tribal communities in modernising parts of the world hold onto their unique identities without being left behind. An estimated 370 million indigenous people live across 90 countries around the world. They account for less than 5% of the world’s population but 15% of the poorest. 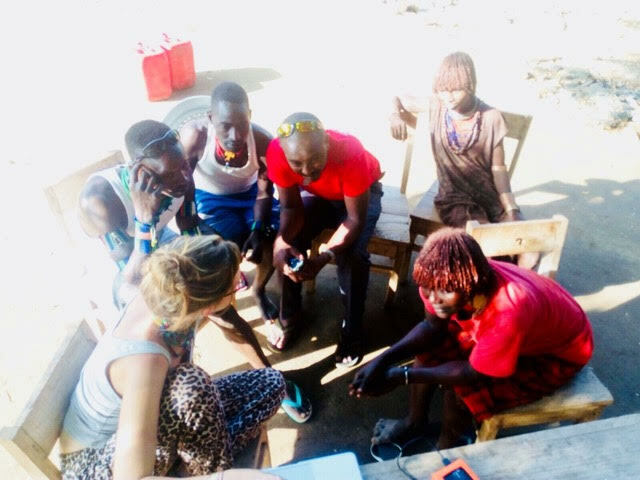 The charities first project starts in Ethiopia, where the two founders lived amongst the Hamar Tribe in Ethiopia’s remote Omo Valley for over three years. Here the duo developed a practical insight into the changing needs and desires of one of the world’s remaining indigenous societies in Africa’s fastest developing country. At present, the duo can be found working with the Hamar community providing new opportunities in education for young people and for the economic empowerment of women. 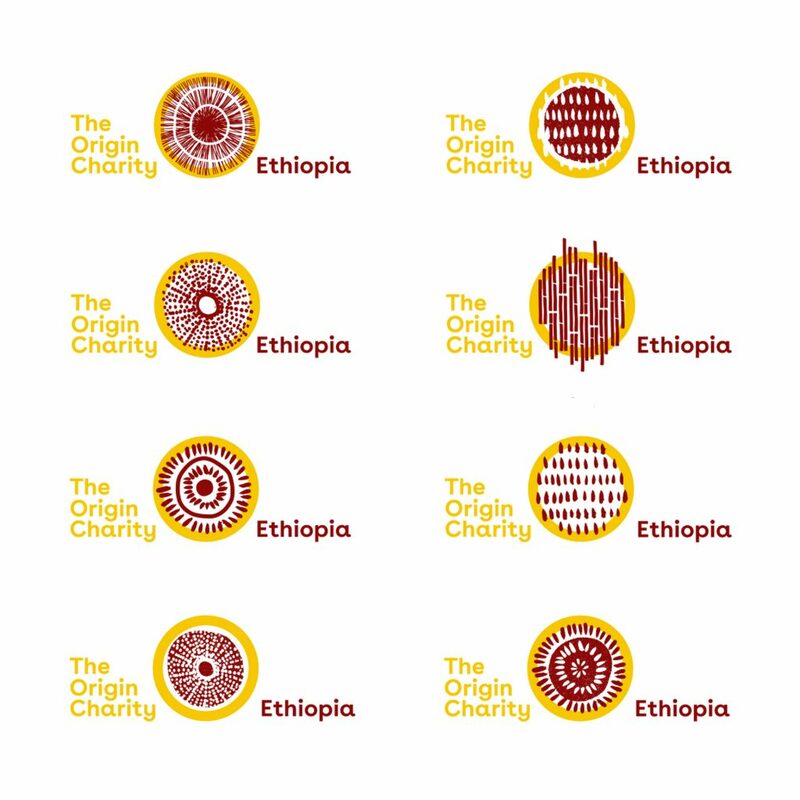 Attracted to our people, planet studio ethos, Origin approached Leap for assistance on developing the charities own sustainable visual identity. Key components to include: Origins strong values of creating positive change, sustainability and remaining authentic to the communities, people they support. After conversing with Holly & Elizabeth it was clear to see community runs through the charities veins. Translating this into a strong brand visual, we created this fluid circular design representing the sense of wholeness and community. 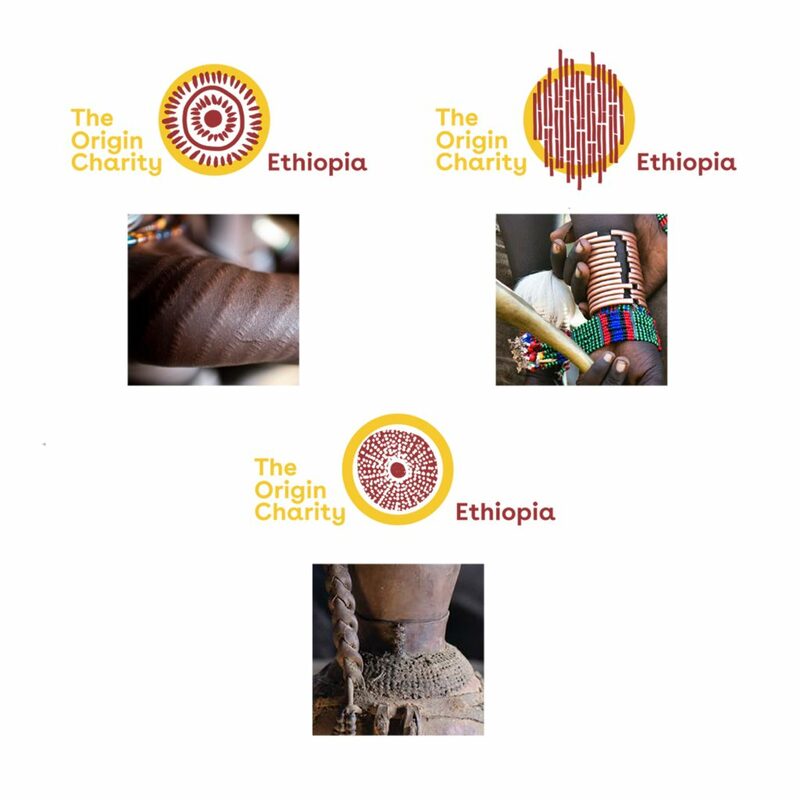 As it stands, the charity is predominantly working in Ethiopia – however, Origin’s mission is to reach as many indigenous tribes across the world. 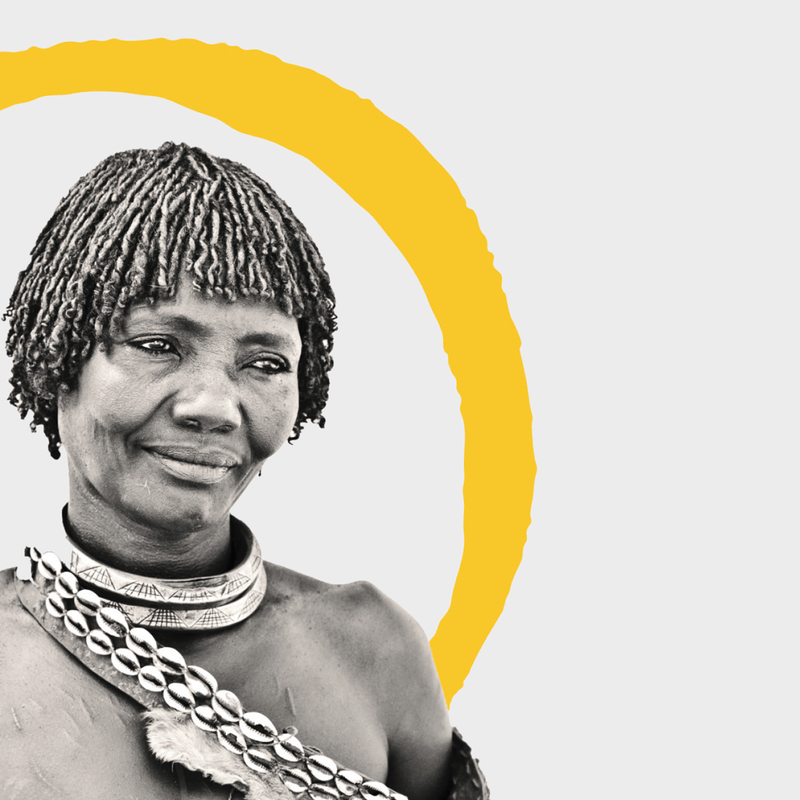 With this in mind, we created a flexible brand that could be adapted to suit any individual tribal community. When it came to designing for individual projects, we wanted to encapsulate strong, direct tangible roots to the people benefiting from Origin’s support. It was important for us that our designs represented each communities unique elements as closely as possible, taking inspiration from the likes of beading pattern techniques to different scarification marks. To achieve this, we tasked Origin to send us real photos of the people the charity work with, so our team of creatives were able to create a series of authentic designs identifying to the individual communities. 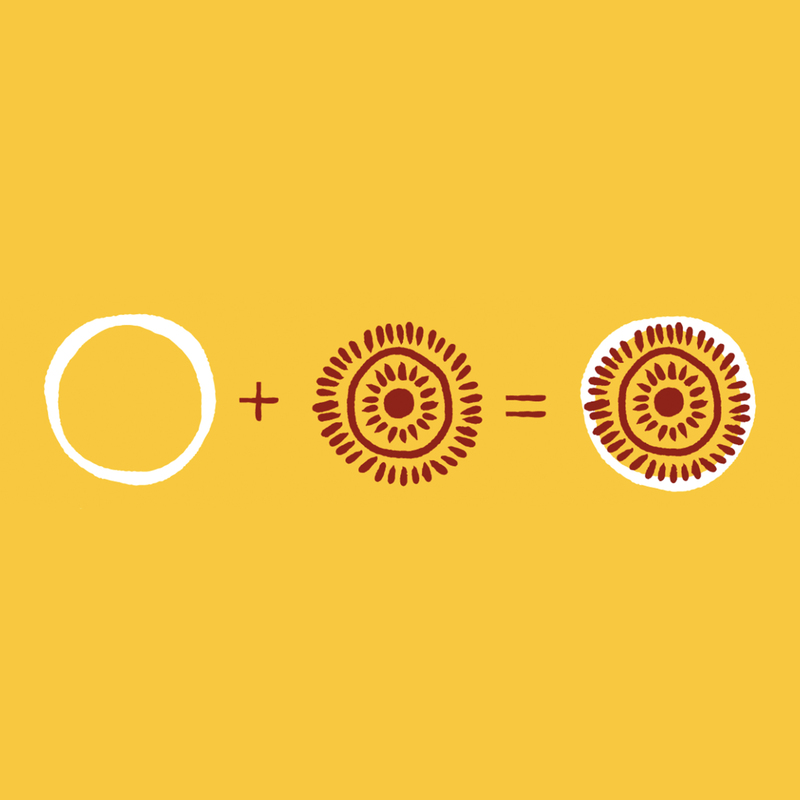 The circular outsphere representing community remains, whereas the unique elements centering the designs will alter depending on the individual tribe’s characteristics and traditions. Staying true to their values of community ownership, Origin directly involved the people benefiting from their current project, enabling them to have input into how they wanted their project to be presented. Here’s a snap provided by Origin of some of the locals from the Hayamar community engaging with our design concepts. 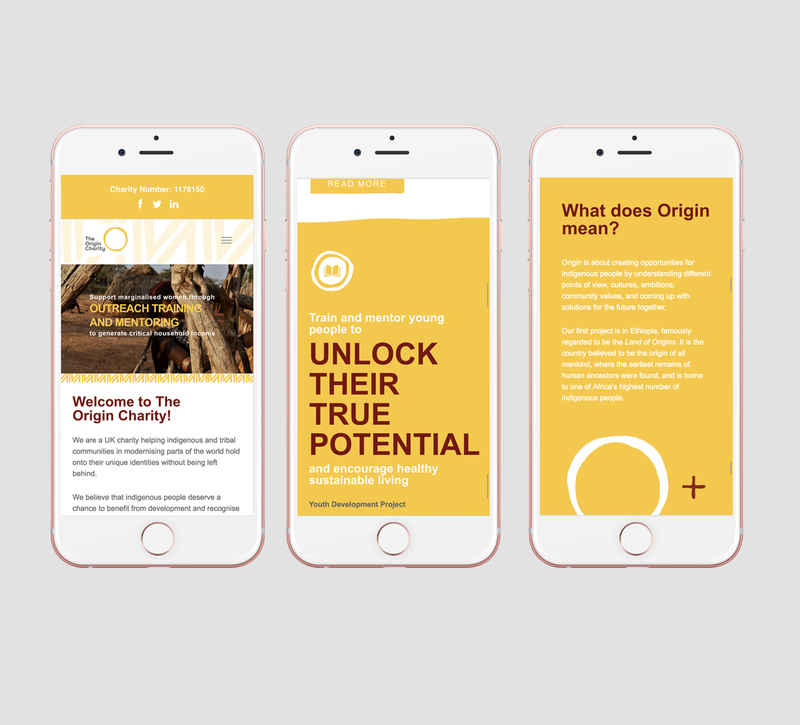 To support Origin’s new brand identity, using our skills in website design and web development, we created a purpose-driven online presence featuring key facts around the organisation, their story and mission, information on current projects and options on how others can support their work. 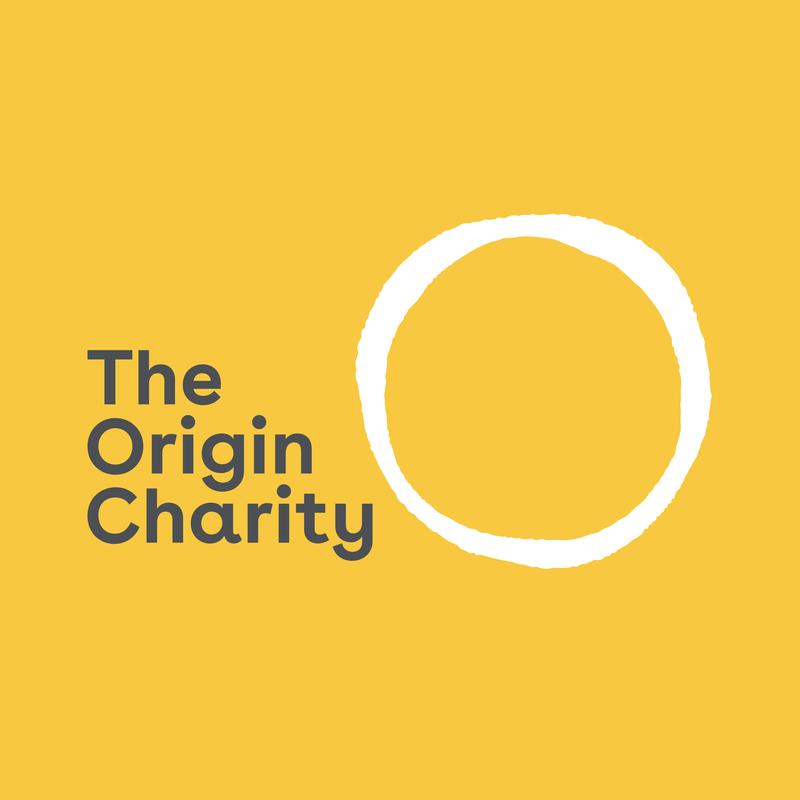 Working with our digital experts, Origin now have a strong space on the internet that fully immerses their newly developed brand, comes optimised for web and mobile and offers a positive, user-friendly experience to all those change-making individuals wanting to find out more, or get involved with the charity. And we were pleased to hear from both Holly and Elizabeth that since the launch of their new site, they have already seen an influx of donations which will play a massive part in supporting the work they do. One week in and we are getting such a good support! 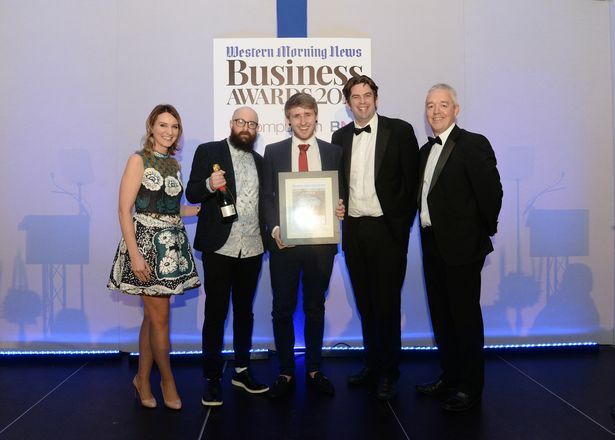 I would like to take the opportunity to thank you the Leap team for persevering with us and supporting us to get this far! 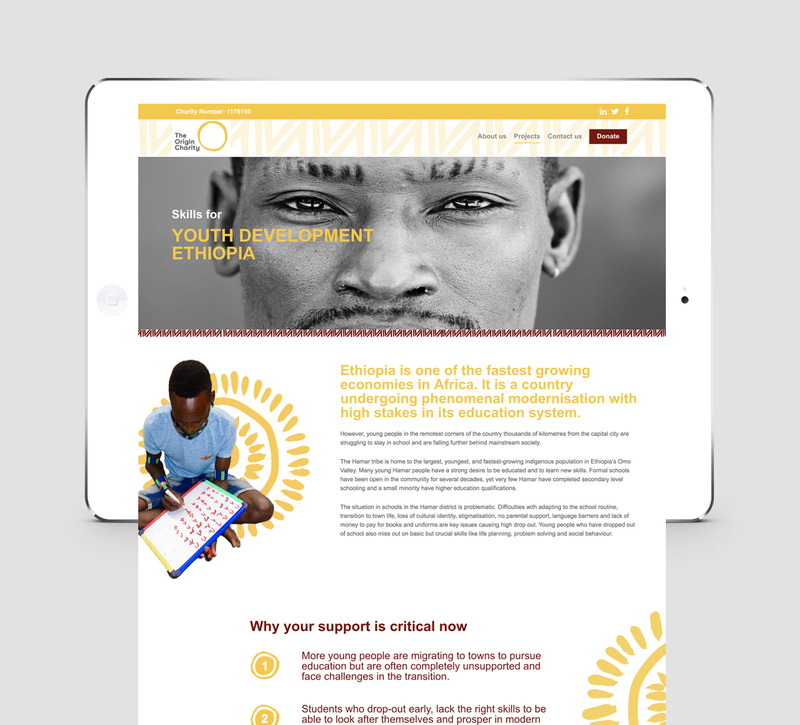 The look and feel of the brand and website are just amazing and really captures the essence of what our organisation is about. We are getting some really positive feedback on the website. Inspired by Origin’s work? Find out how you can show your support here.